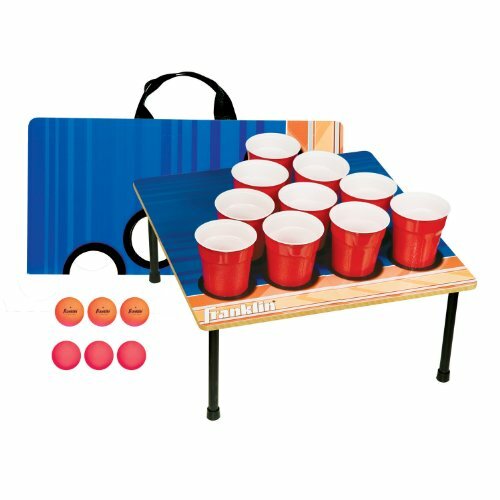 The Franklin Sports 10-Cup Game includes: (2) Collapsible 10-cup targets with travel handles and (6) 10-cup balls. It comes complete with rules and assembly instructions and one all purpose carry/storage bag. Perfect for the tailgate party, backyard, or campground.